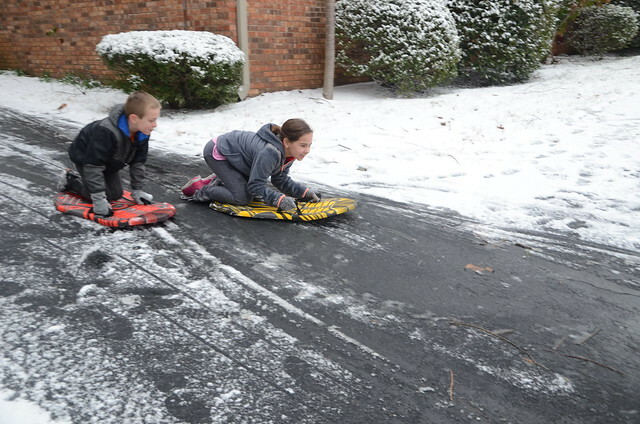 The kids were out of school on Friday because we got a dusting of snow. I seriously think the school system just wanted to use a snow day because the roads were completely clear. 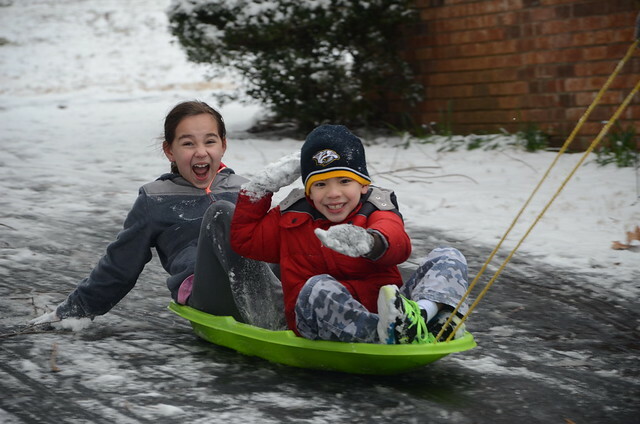 The snow was gone by mid morning so the kids didn't get to play in it too much. Then we woke up Saturday to another dusting of snow. 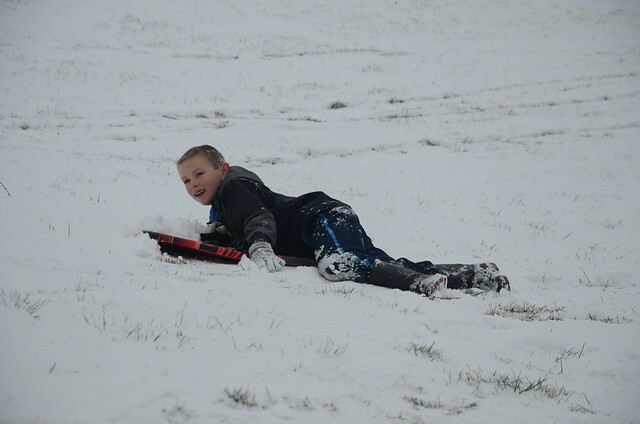 This time we took advantage of it and did some sledding. 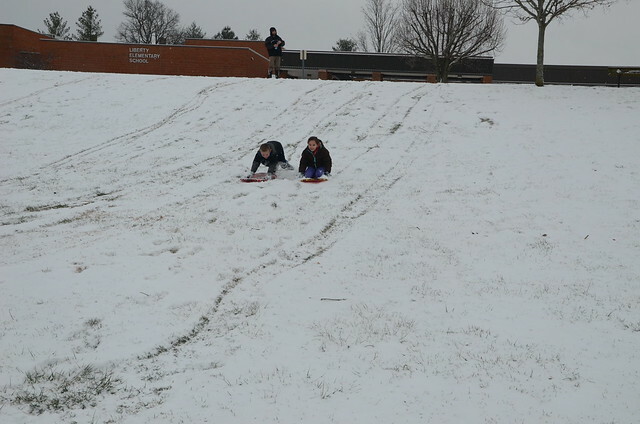 The snow was gone again by lunch time, but at least we got to have a little bit of snow fun.